Are you looking to achieve a bright, even smile? Is there a cosmetic service that produces lifelike and durable results? Yes, there is, and it's called porcelain veneers. Dr. John Murphy and Dr. Patrick Murphy of Murphy Dental Group in Milton, MA offer these dental laminates to improve the front of teeth which have flaws such as chips, cracks, and deep stains. At Murphy Dental Group, the doctors want your smile to function well, last for a lifetime and look great. Sometimes, though, nature gives us a healthy smile but not a beautiful one. Plus, time, food, smoking, and just general wear and tear change tooth shape and color and inflict minor damage such as chips and cracks. When you see Dr. John Murphy and Dr. Patrick Murphy at Murphy Dental Group, you'll receive an honest appraisal of your smile appearance and how to improve it. Porcelain veneers are one of their many state-of-the-art services for patients who wish to camouflage stains, close gaps, smooth overcrowding, or improve tooth shape. Veneers are customized shells of ultra-thin, realistic porcelain. They improve smile aesthetics and strengthen teeth, too. A permanent refurbishment, veneers involve some enamel reduction. So your dental team will ask you to consider your smile goals carefully. 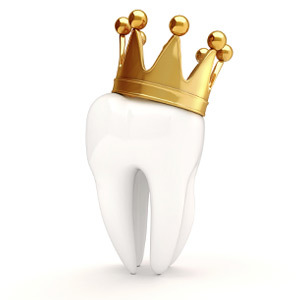 With an agreed-upon treatment plan, your dentist will take impressions of your teeth. Also, they will remove a minimal amount of tooth enamel from the front of the tooth. The dentist typically places temporary veneers to complete your smile while you wait for the permanent laminates to be individually fabricated at the dental lab. On your return visit to Murphy Dental Group, your dentist will remove the temporary laminates and bond the permanent ones in place. The bonding cement is varied in shade to achieve the best look for your other teeth. A special curing light hardens the cement. With a final adjustment for a proper dental bite, the process is finished. Only better. That's your dental team aims for. To care for your new veneers, brush them twice a day with a soft toothbrush and non-abrasive toothpaste. Floss daily, too. 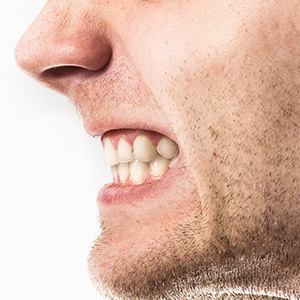 If you are a tooth-grinder, ask your dentist about a nighttime bite guard to preserve your veneers, your jaw, and your other teeth and restorations. Plus, be gentle with your porcelain veneers. Don't bite open plastic packages or bottles, and avoid hard foods such as peanut brittle, taffy and ice. Experts agree that veneers stay beautiful and strong for an average of ten years, or a range of seven to 20. Porcelain veneers could be for you. Please contact Murphy Dental Group in Milton, MA for your personal consultation. You'll love your new smile! Phone (617) 696-3900.